Nobody likes to have pests in their home. A pest can be defined as a plant or animal that has detrimental effects to humans or human concerns, or an organism that can cause nuisance and epidemic disease. Nevertheless, when talking about pest control in a residential area, we are usually referring to animals, like rats and rodents, and insects, like cockroaches, termites, and mosquitos. In order to eliminate those pest problems, we need a form of pest control. Many home owners nowadays have a form of pest control that they can use without any professional help, although there are indeed many professional services for pest control available. Two types of devices that people use for pest control are fumigators and foggers. You are probably wondering right now what actually the difference is between a “fumigator” and a “fogger”. These two terms are often used interchangeably. In fact, there are now many products that use both terms in their names. Indeed, a fumigator and a fogger would do pretty much the same thing, which is producing some pesticide gas to eliminate those pests. However, fumigation and fogging are not exactly the same. Therefore, a fumigator and a fogger are technically two different things. Fumigation is actually quite a large-scale operation. 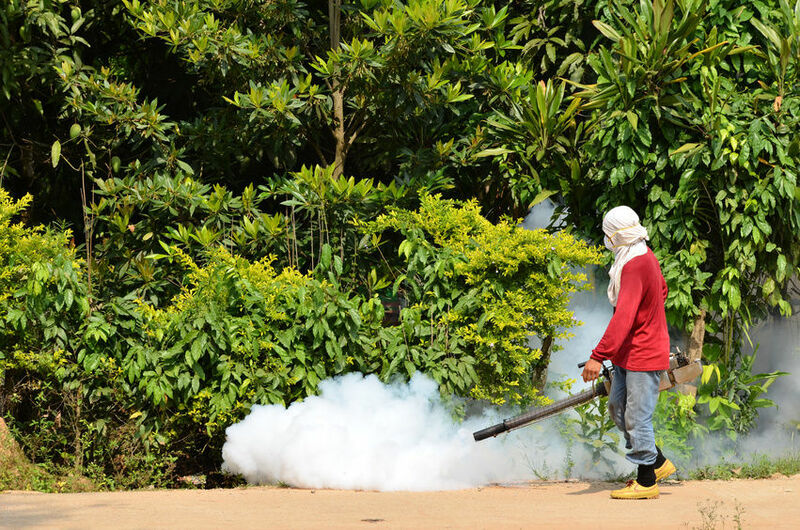 Fumigation is a method of pest control that involves the complete filling of an area with gaseous fumigants (pesticides) in order to poison or suffocate the pests within the area. Fumigation is performed to control pests in a building, an area of land, the processing of goods, and a transport vehicle. Fumigation is able to affect the structure of the building so that pests inhabiting the physical structure can also be eliminated. Fumigation generally consists of two phases. The first phase intends to cover the intended area in a sealed environment. While the technique may vary from building to building, fumigation for a home usually utilized a rubber tent that is set up to cover the entire house. Such setup is usually called tent fumigation or tenting. The tent is used to prevent the poisonous gases from leaking into the neighborhood. Afterward, in the second phase, the fumigants are released into the sealed environment. The poisonous gases are let to circulate and percolate through the space in order to kill all infestations. The process may take up a week or so, depending on the fumigants used, which in turn is dependent on the temperature levels and the pests. Finally, the space is ventilated to take out the poisonous gases and render it safe for humans. If successful, the area is safe and pest-free now. The real fumigation is quite a complex large-scale operation. It is usually performed by a professional service. If you have an awful case of pest infestation, you may need to get a professional fumigation help. Fogging is an act of producing a fog. In the context of pest control, fogging produces a fog of an insecticide. A fogger is a device that creates a fog. Foggers are usually preferred by consumers as a budget-friendly alternative to professional pest control. Nevertheless, there are various types, sizes, and styles of foggers that you can rent or purchase. There is a fogger model that has a long barrel that produces the gas from the end; it is typically used for fogging exterior, unsealed environments. It is not efficient for fogging a sealed environment, and the produced gas may spread around. There are also total-release foggers (TRFs), sometimes also called “bug bombs”. A TRF is used almost like a fumigator, but usually only meant to work on a room rather than multiple rooms. The device is put at the center of the room, and it will fill the area with an insecticide gas when activated. You definitely have to close all of the room’s doors and windows and probably vents. Also, remove all plants, pets, and people from the area. Ideally, all foods and cooking items should be removed too because they may capture the insecticide gas, but you can properly cover them instead if not possible. There are now many bug bombs available in the market. Probably, Raid’s bug bombs are the most popular. However, Raid sells some of its products as either “fumigators” or “foggers”. Many people have been confused whether Raid fumigators and Raid foggers are the same. Technically, they are all the same. They are all bug bombs, so you can classify them into the fogger group. 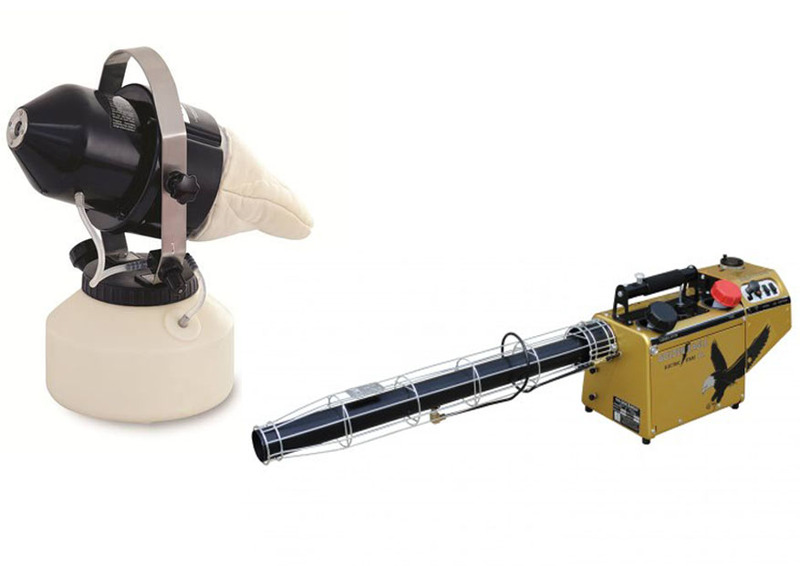 These devices are designed to rid households of cockroaches, spiders, ants, and other insects. A true fumigation uses different chemicals than a fogger. A true fumigation usually uses formaldehyde and potassium permanganate liquids. There are other chemicals, too, but these are the most popular choices. A true fumigation is generally more potent for killing all pests, including mice and those insects that hide inside the building’s structure. However, those chemicals used in a true fumigation are also much more dangerous, and are carcinogenic. 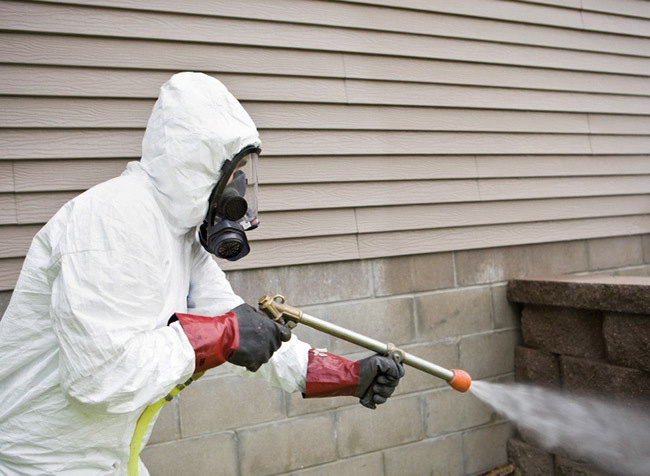 Therefore, a true fumigation should only be conducted by a certified professional. On the other hand, fogging can be performed by most home owners. You can use a total-release fogger (a.k.a. “home fumigator” or bug bomb) to deal with a light infestation. Fogging usually uses hydrogen peroxide and silver iron solutions, pyrethroids, or pyrethrins. These are also dangerous chemicals, but they are relatively safer compare to those used for fumigation. But fogging is not as potent as fumigation. It is good for dealing with insects and light infestation. But it won’t kill non-insect pests like mice and probably won’t reach into the building’s structure. If you ask about Raid fumigators and foggers, well, they are all the same. They can classify as total-release foggers, and are only meant to kill insects. They won’t kill non-insects and probably won’t reach into the building’s structure. If you are looking for a total pest control solution, you may need a professional fumigation service. It will take longer, up to seven days, but is more potent and can kill non-insects and pests inhabiting the building’s physical structure.